In this paper Assagioli looks at the different types of psychosynthesis from the individual psychosynthesis to the psychosynthesis of humanity. Psychosynthesis presupposes psychoanalysis or, rather, includes it as a first and necessary stage. There is in this respect a close analogy with chemical processes—both with those produced in the scientific laboratory and with those, even more wonderful, which are consistently going on in the human body. For instance, the complex molecules of the proteins contained in food are subdivided into the simpler molecules of peptones by the biochemical analytical processes of digestion. Through a process of synthesis, these are combined to form larger molecules constituting the specific proteins of our own organism. The same thing occurs in the human psyche, in which processes of dissolution and reconstruction are being carried on incessantly. Sometimes these processes of psychological assimilation (one might say of ingestion and digestion) take place easily and spontaneously, but often psychological indigestion and toxic conditions occur and psychopathological abscesses and tumors are developed in the unconscious of the individual. The need for studying and curing these troubles has led to the creation and use of new methods of investigation and treatment, and to varied theories and interpretations, the most generally known being psychoanalysis. The lot of psychoanalysis has been peculiar. What has happened we must deplore because of its many unfortunate consequences, but which, with our psychoanalytic knowledge of human nature, should not surprise us. The more questionable, excessive and dangerous aspects of psychoanalysis have been those most emphasized and widespread. The sexual theory (or the alleged sexual origin of most manifestations of human life) and a system of often arbitrary and far-fetched interpretations have had a great vogue among the public, arousing unwholesome curiosity and frequently furnishing a pseudo-justification for an uncontrolled indulgence of the instinctive nature. At the same time the higher aspects, the fine flowerings of human nature such as express themselves through religion and art, have been subjected to a destructive analysis that misses their true and deeper essence. In consequence of these excesses and deviations, a number of psychologists and psychiatrists have been led into a wholesale denunciation and condemnation of psychoanalysis, and a rejection of the important elements of truth it contains and the useful psychotherapeutic and educational techniques it has developed. We may say that its most fruitful contribution has been the demonstration that there can be no real health, no inner harmony and freedom, and no unimpaired efficiency without first a sincere, courageous and humble acknowledgement of all the lower aspects of our nature, all the impulses, passions and illusions, plus their manifold combinations and deviations, which dwell and seethe in our unconscious and which delude, limit and enslave us. Psychoanalysis, in its best aspects, is effective in helping us to overcome the resistances and repressions produced by our ignorance, our fear, our pride and our hypocrisy; these prevent us from seeing clearly the dark sides of our nature. Their recognition is a prerequisite in dealing with them satisfactorily and thus laying a sound and stable foundation for all our subsequent work on the psychological building-up of our personality. As Freud (2) stated, psychoanalysis can aid us in passing from the “pleasure-pain principle,” from the unceasing oscillation between these two poles in vain attempts to cling to the first and avoid the second, to the “reality principle,” that is, to the recognition and the conscious acceptance of reality—with its laws and just claims. Thus a well- understood and applied psychoanalysis may help us to pass from the world of passions and emotions, of vain imaginations and illusions, to the realm of healthy reason, to n objective and scientific vision of ourselves and of others. But sometimes this help, even when given by the best kind of psychoanalysis, proves inadequate for the solution of man’s psychological and spiritual problems. It has been observed again and again that, while the bringing into the light of consciousness of the diverse tendencies at war in our unconscious may eliminate some morbid symptoms, it is not sufficient to solve the conflicts. Sometimes, as when the patient is unable to stand too sudden or premature a revelation, it may even complicate the condition. Furthermore, a too insistent and one-sided delving into the lower aspects of the human psyche can be definitely harmful. Therefore the practice of psychoanalysis requires much caution and should be kept within definite bounds; but above all it should be integrated by active psychosynthetic procedures. This integration enables therapists to help patients, and educators to help the young, to utilize, transmute and sublimate their exuberant vital and psychological forces. There are specific psychological laws regulating the uses and transformations of emotional and mental forces which bear a close analogy to the laws of hydrodynamics, and on such laws are based the techniques by means of which these forces can be directed into the desired channels and applied to constructive purposes. These methods are being increasingly developed and perfected to the point of constituting a specific branch of applied psychology, psychodynamics. Thus we can foster and deliberately direct the formation and development of a complete, well-integrated and organized human personality. This is psychosynthesis in the strict sense of the word, the result of the use of psychosynthetic methods. But there is another and more important fact that has been discovered, or rather scientifically ascertained and recognized, in the practice of psychotherapy, chiefly by Jung. It is the existence in man of qualities, energies, urges and needs which are higher in kind and level than those present in the consciousness of the normal, average man and woman. These tendencies and energies, which can be labelled superconscious, have relationships and interactions with the conscious personality which are curiously analogous—at a higher octave—to those of the lower unconscious urges. 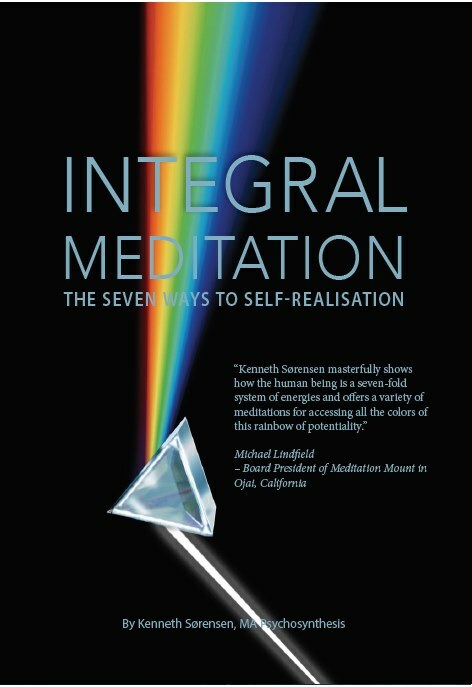 It has been ascertained that these higher energies are often repelled and rejected from the “field of consciousness” for similar motives: lack of understanding, fear, preconceived ideas, depreciation, unwillingness to be disturbed or fulfil new inner tasks and to renounce selfish attachments and satisfactions. Consequently some of the more advanced psychologists have recognized the existence, and have started the scientific study, of the superconscious, that is, of the psychospiritual realm where are organized and developed, and from whence penetrate into man’s consciousness, all higher inspirations, philosophical and scientific institutions, telepathic impressions, exceptional healing powers and impulses to heroic and self-sacrificing deeds. Indeed, it is high time that science fully recognized the existence and value of these inner realities and realized that those who have such experiences would welcome an unbiased, sympathetic investigation. Churches and other religious organizations, founded on revelations originating on those transcendent levels, would have nothing to fear from the light that greater psychological knowledge can throw upon them. That which is true and real is like an adamant that no metal tool can scratch; it is like pure gold, which withstands the acid test of any analysis. The time has come for religion and science to end their long and unnatural conflict, the outcome of mutual misunderstanding and the unwarranted claims of both. The time has come for them to enlighten and integrate each other in a higher, broader synthesis. Then the irruption (often sudden and violent) of the higher energies would no longer produce conflicts, exaltations, deviations, fanatical reactions, mistaken interpretations and valuations, strange mixtures of truth and illusion, as they often do when they descend into the middle and lower psychological levels. Instead we will learn how to sustain the impact of these descending currents of energies, to direct and assimilate them in a proper way, to skilfully reduce, so to say, their potential by adapting—through our power of resistance—their regenerative action upon ourselves and upon those on whom they radiate. In other words, it is possible, and it should be our aim, to reach a harmonious integration and cooperation between the normal and the higher spiritual energies—that is, to achieve a Spiritual Psychosynthesis. Such a conception brings out another basic point, namely, that psychosynthesis is not a task which can be completed, which leads to something final and static, s does the construction of a building. 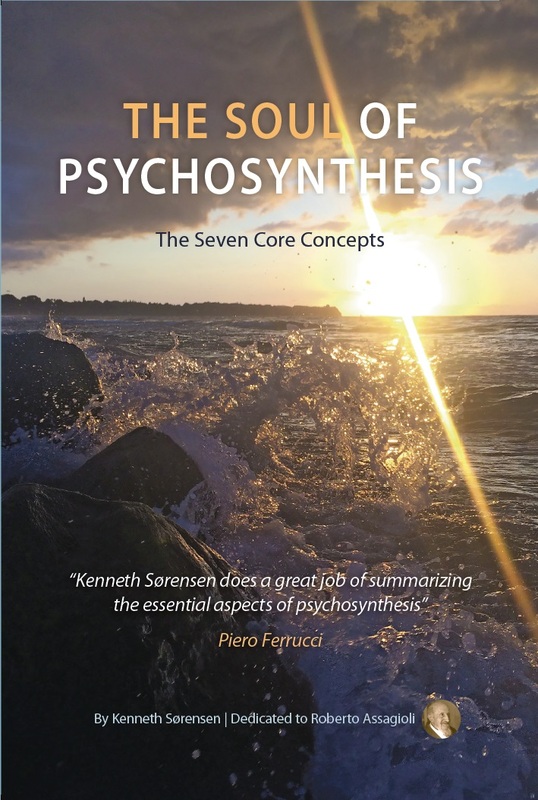 Psychosynthesis is a vital and dynamic process, leading to ever new inner conquests, to ever broader integrations. All this is true for each of us as individuals, but it is just as true concerning the relationships which exist, or which can and should be established, among human beings. Indeed, an isolated individual is a nonexistent abstraction. In reality each individual is interwoven into an intricate network of vital, psychological and spiritual relations, involving mutual exchange and interactions with many other individuals. Each is included in, and forms a constituent part of, various human groups and groups of groups, in the same way in which a cell is a tiny part of an organ within a living organism. 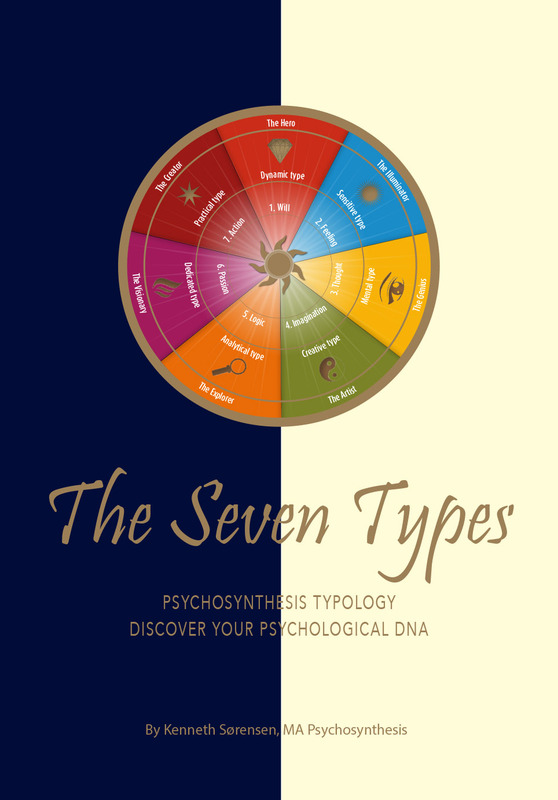 Therefore individual psychosynthesis is only a step towards inter-individual psychosynthesis. Just as an organ (for instance the liver) and a system of organs (for instance, the digestive apparatus) constitute significant functional units, so the various human groups constitute definite psychological units or entities which fulfil specific functions and have consequently each its own peculiar life, activity and reality or being. The first of such human groupings is that of a man and a woman, the couple. It is the smallest and the simplest from the quantitative standpoint, that is, considering the number of its component elements. But qualitatively it is one of the most complex, owing to the multiplicity and closeness not only of the mutual interactions, but also of the intimate physio-psycho-spiritual interpenetrations and fusions that occur in the man-woman relationship. This explains why it is so difficult for a spontaneous, almost automatic, psychosynthesis or harmonious relation and cooperation to happen, as people with a naïve and disastrous ignorance of the complexities of human nature generally expect. Abundant evidence of this difficulty is provided by the almost universal conflicts and the frequent dramas that jeopardize and not infrequently break up the marriage relationship. Adequate psychological knowledge and understanding and a conscious use of the methods of psychosynthesis would effectively help humanity to avoid and to eliminate an incalculable amount of suffering. The second psychological group or entity is the family. In the past its members were closely knitted together, and it often exerted a limiting and coercive influence on them. At present the family group is passing through a serious crisis, chiefly owing to accentuated differences, and consequent acute conflicts, between the older and the younger generations. The study and elimination of these conflicts and the establishment of harmonious and constructive relations between the members of the family group is an important part of psychosynthetic education. May we emphasize that this includes the education of the parents no less than the education of the sons and daughters. Then there are wider groupings of various kinds, which have a greater or lesser coherence or degree of unification. There are, for example, the different communities formed of people belonging to the same class or caste, or to the same trade or profession, or to the same organization. Clear instances of this are offered by the typical mentality of the aristocratic class in the past; by the “esprit de corps” of the military caste; and by the psychological coalescence in a sporting or working team, or between men who, though physically far apart from each other, are engaged on the same specific work, such as the astronomers of the world. It is not, however, our intention to occupy ourselves with such groups, but rather to give closer consideration to the kind of group that is at present raising some very acute problems, i.e., the group constituted by a people or a nation. In order to understand adequately the nature of such a group, we will avail ourselves of the close analogy that exists between a nation and a human being. This is frequently recognized, more or less clearly, for we often hear or read statements about the “soul” of a people, about its “psychology,” its “mentality,” its faults and qualities, its development and its education. Such expressions correspond to a definite psychospiritual reality—a concept upheld by the Polish philosopher W. Lutoslawski as long ago as 1911 in his paper, Nations as Metaphysical Entities, given at the “International Congress of Philosophy” at Bologna in that year. The study of a nation as a living entity is very illuminating and from it we can draw many practical deductions and rules for action. The first fact revealed by such a study—a fact which should not shock us, but rather be regarded as a source of reasonable optimism, for it explains and justifies many things—is that the “personality” of each nation is still at a stage corresponding to the troublesome pre-puberty age, or if more advanced, to adolescence. It is the stage at which the boy or girl is reaching an initial degree of self- consciousness; and its early demonstrations generally take an uncontrolled and exuberant form of separative and aggressive self-assertion. The evolution of peoples does not proceed along a straight line but in a “cyclic” manner, as the historian G. B. Vico (6) pointed out in his theory of “historical recurrences” long before the contributions of more recent thinkers such as Spengler (4) and Toynbee (5). Even in individuals the psychological and spiritual ages often do not parallel the age of the body. They have noticeably alternating periods of activity and inaction, of speeding up and slowing down, of maturity or senility and rejuvenation. The life of Goethe provides a typical example of this. It had a definitely cyclic development with recurrent periods of an amazing rejuvenation. During the last of these, at the age of seventy-four, he fell in love with a nineteen-year-old girl, Ulrika von Levetzow, and he wrote one of his most inspired lyrical poems for her, in which he expressed sentiments of an almost adolescent character. Moreover, at present the particular cycles of each nation are subordinate to a larger cycle involving the entire planet. This cycle marks the end of an era and the beginning of a new one. It thus involves a psychological rejuvenation of humanity accompanied by the eruption of elementary, primitive, barbaric forces. A second important fact (related to the one just considered) is that the psychological life of a nation corresponds to a great extent to that which is unconscious in individuals. Modern investigation of unconscious psychological activities has ascertained that these are chiefly instinctive, emotional and imaginative. They are easily influenced by suggestion, and are often dominated by the collective unconscious, directed by ancestral “images” or archetypes, as Jung called them. A genuine and unbiased observation of the psychological life of all peoples demonstrates that it is dominated by the same characteristics. The conscious part of an individual corresponds, in a people, to a minority constituted by its thinkers (philosophers, historians, psychologists, sociologists and other scientists), who endeavour to develop the self-consciousness of the nation, to interpret its past, to assess its present conditions and to point to the future. But such a minority is as yet more at the stage of research and discussion than at that of sure conclusions and definite action. Those who belong to it are often at variance with each other, and their influence on the life of their nation is limited or unstable. The Self, the “Soul,” the true spiritual Center, is, in both nations and individuals, superconscious. It does exist, but in a realm or at a level that is ordinarily above the reach of the personal consciousness. Its reality is revealed by its manifestations, which usually occur only on exceptional occasions, but which are so vivid, potent and of such a different quality that they bear a sure proof of their higher origin. In individuals this is outstandingly demonstrated by geniuses, mystics, holy men and heroes, in whom we cannot but recognize the manifestation of the “something other” than ordinary human characteristics. It happens also at times that these great individuals become inspired not only from their own Selves, but also from the soul of their nation, which uses them as its instruments and representatives, in order to reveal itself and achieve its group purposes. Examples of such inspiration or “overshadowing” have been Moses, Dante, Joan of Arc and Lincoln. The psychological examination and evaluation of a people is a difficult and complex undertaking, and this might partially explain the fact that the researches made to date on the psychology of the various peoples are not, as a whole, very satisfactory, and that hose made in a truly scientific, objective and unbiased way are rare. Indeed, irrational impulses, illusions and pride are so influential as to blur the vision and thus distort the assessment of even the material resources of a nation. How much more, then, must the same deluding influences obscure the recognition of psychological factors, which are more fluid, complicated and difficult to interpret. Finally, all human individuals and groups of all kinds should be regarded s elements, cells or organs (that is, living parts) of a greater organism which includes the whole of mankind. Thus the principle of, and the trend to, synthesis carries us from group to group in ever wider circles to humanity as an integral whole. The essential unity of origin, of nature and of aims, and the unbreakable interdependence and solidarity between all human beings and groups are a spiritual, psychological and practical reality. It cannot be suppressed, however often it may be negated and violated through the numberless conflicts in which men, foolishly and painfully, squander their precious energies and even deprive each other of the sacred gift of life. In spite of all contrasts, all oppositions and all negative appearances, the principle of interdependence, of solidarity, of cooperation, of brotherhood—that is, of synthesis—is rapidly gaining recognition. An increasing number of men and women are animated by the will to implement it, and are actively working within different groups and in all fields, outwardly unorganized but inwardly closely connected by common dedication to the same purpose: the psychosynthesis of Humanity. 1. 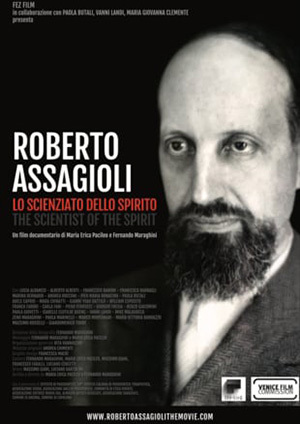 ASSAGIOLI, R. Psychosynthesis: A Manual of Principles and Techniques. N. Y.: Hobbs, Dorman & Co., 1965. 2. FREUD, S. The Standard Edition of the Complete Psychological Works of Sigmund Freud. N. Y.: Macmillan, 1953. 3. JUNG, C. G. Modern Man in Search of a Soul. N. Y.: Harcourt Brace, 1933. 4. SPENGLER, O Decline of the West (tr. Atkinson, C. F.) N. Y.: Knopf, 1945. 5. TOYNBEE, A. J. A Study of History. N. Y.: Oxford Uty. Press, 1946. 6. VlCO, G. B. Principii d’una Scienza Nuolla, 2nd Edn. Italy: 1730. New Science of Giambattista Vico, tr. by Thomas Bergin and Max H. Fisch. p.b. N. Y.: Doubleday, 1960.